Adam Velo, a fellow MVP, took this photo of me, and he followed up with an excellent presentation about the psychology of data graphics (see http://blog.crmguru.co.uk/ ). You can see a description of all of the sessions at http://www.sqlsaturday.com/388/Sessions/Schedule.aspx and download my slideshow. 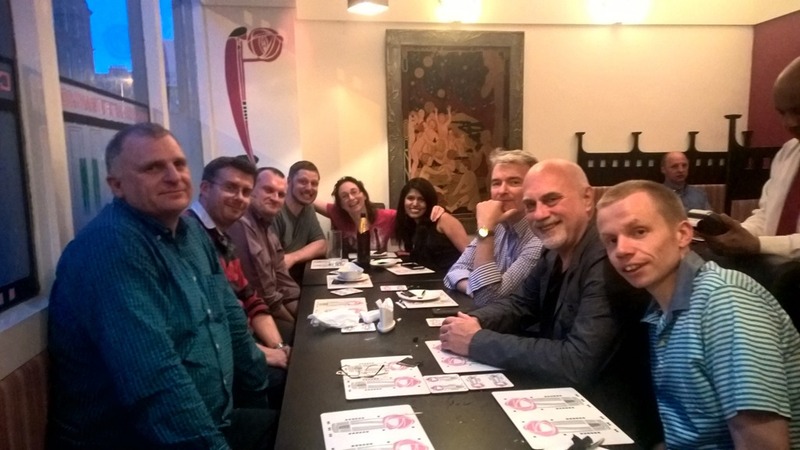 Some of us speakers and sponsors met up for a meal on the first night in a restaurant … note that there is a very dodgy picture of naked children in the back ground! 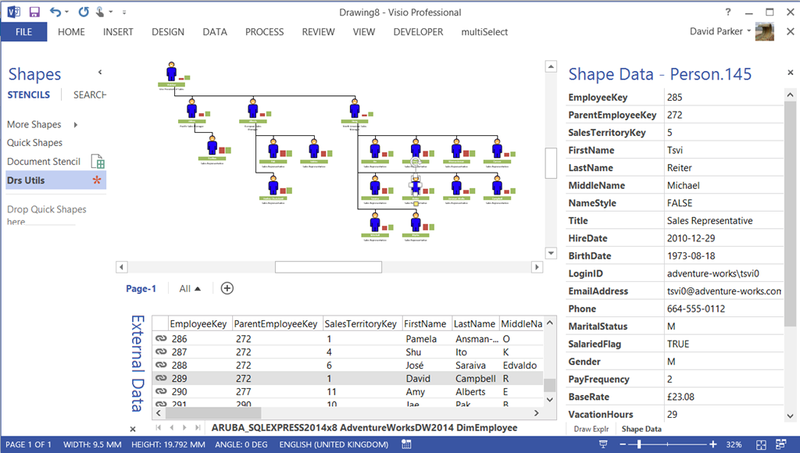 See https://blog.bvisual.net/2015/06/14/dropping-and-connecting-linked-data-shapes-in-visio/ to get a download of the macros mentioned in the video.